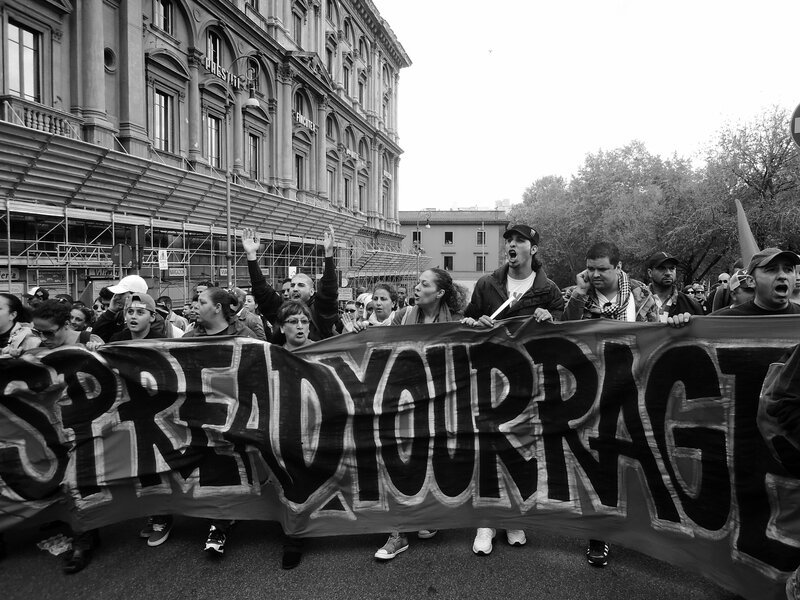 Blocchi Precari Metropolitani is a collective of precarious born in Rome in 2007 dealing with the difficult living conditions of students, youth, migrants, workers. The housing question is our starting point, since we consider it a crucial part of indirect income. Being unable to access the rental market, we choose the re-appropriation as a practice to claim the right to housing and dignified living. The answer of the need for housing is an important first step on the path we imagine, but it can’t fulfill our collective desires. We claim the right to the city opposing the deplorable economic and land use decisions that are reshaping the territories according to the needs of the real estate market and financial speculation, rather than to those of the inhabitants. We try to subtract rent value occupying private and public spaces, opposing the sale of public assets and practicing the idea of reuse, that states a social sovereignty over urban land. Through the practice of re-appropriation, the widespread resistance, the counter-power exercises we reclaim the present living with dignity. We have 10 occupied spaces engaged in social and cultural activities, sports, demonstrations and much more. In permanent conflict both with local and central governments, bound primarily to make money by selling common goods and public property and cutting on social security, housing, education, health care. Our experience is mestizo and sees migrants as protagonists in the struggle to affirm old and new citizenship rights. 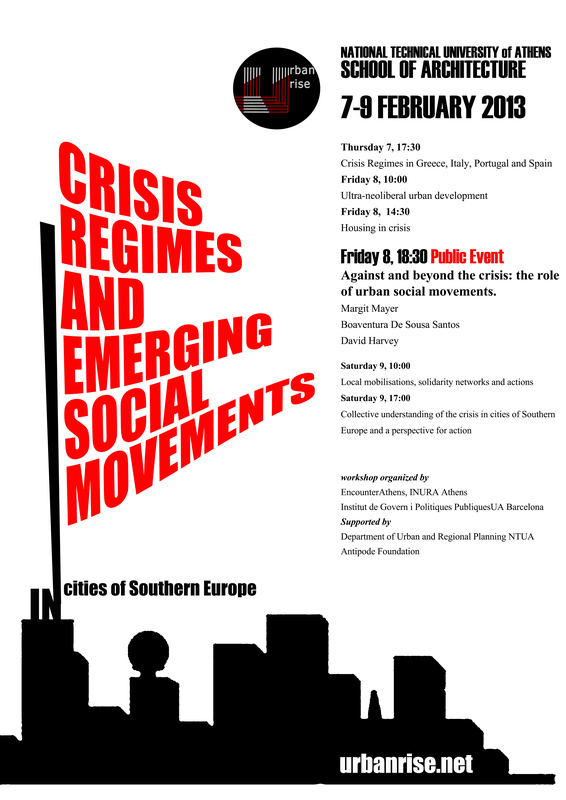 Into the spaces we occupy there are now supportive communities networked also with the surrounding territories, in an attempt to practice a way of living in open conflict with the current model of development, based on the valorisation of our lives and the places we inhabit. Around these ideas and these practices a lot of independent experiences can grow, able to subvert the production processes based on insecurity and exploitation of resources, territories, environment.